A domainer spamming a number of companies for the purpose of outbound sales, is in hot waters after delivering a classless intro email. “My name is Rohit Goyal and i am also a domainer whose main focus area is outbound. Being active in namepros.com and other forums , i got your reference as a domainer/company who holds big portfolio. I have a portfolio of Geo/keyword domains available for sale. We won’t focus on the poor quality of the email’s syntax, but rather, on the closing byline, that mocks #MeToo, a global movement empowering women. The Indian domainer’s statement fails at its weak attempt to be funny, and instead stands out as profoundly sexist. Wow. Just wow. We got an email today from a domainer trying to flog us domains. However what made this stand out was the offensive contents of his email to us. Here is the opening of his email to us – bear in mind this wasn’t sent to me, but to our sales team, so he had absolutely no idea who was going to open it and read it. Personally I find it incredibly offensive, but I’m fairly sure that any of my staff who saw it wouldn’t be too happy with it either. Moral of the story: when you want to peddle your domains, keep it clean. We need to track him down, he should not be using namepros as his personal springboard, especially with an ignorant closing statement as he has. Well I have asked my staff to draft a mail and send it to few domainers/companies for bulk deal… It was my mistake that i didn’t check the final draft and the mail did had some offensive lines which should not have been there… I publicly apologize for the same as it was a blunder at my end. Extremely sorry to anyone whose feeling got hurt , it was ever our intention to offend or insult anyone. I apologize once again on behalf of my team. rohit kumar goyal – It’d be more honest to admit you personally screwed up, instead of shifting the onus to imaginary “staff.” Not even Fortune 500 CEOs have others draft their emails! Be a man and apologize on your own behalf. But before you do that, please apologize first for doing outbound on bulk domain names. That in itself is deeply offensive to your email recipients. Be a real man and register domain names that simply sell themselves as end users naturally come looking to buy them. Nobody wants to hear your crappy sales pitch for all your crappy domain names. I agree stop operating a illegal spam sweat shop, and sending spam on garbage domains to whatever email you can find online. There are errors within errors, and your whole organization is built on a house of cards. Really you have no business doing business the way you are. You need to rethink your business. If I get a spam from you again, I will be reporting you to Godaddy for spamming, and I will not rest until you stop spamming others either. A man is trying to make a living, he made a mistake and people are so quick to judge and climb on the 21st century bandwagon…. Where is the sexist implication in the below statement? So a woman joining a feminist movement: Would be she not be “thrilled” as they are joining a movement that is close to their heart? What let this statement down is the “just kidding” This is obviously an error due to a lack of understanding of the English language – nothing more. The grammar is shocking, but there is no sexist implication here at all. There is no ulterior motive here and anyone who suggests otherwise is looking for something that is not there….. Unbelievable and a sad example of modern society hyperbole. bob – It’s people like you that make human progress difficult. Your attitude is truly sickening. Not only he signed the email with his name, he also used a rising movement formed for the victims of sexual abuse as the basis of a pathetic joke. This is not a feminist rambling that MeToo provides, it’s support of human dignity with emphasis on female abuse. I have friends that were raped, so you can go take your garbage drivel to your own friends and family and see if they will accept it. 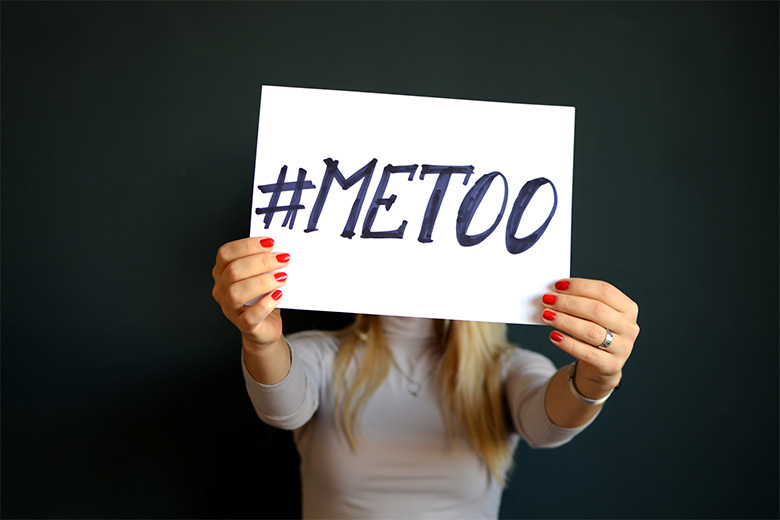 DomainGang is right — the #metoo movement is not a feminist movement. Most of the women joining it are not feminists; they are simply everyday women victims tired of being victimized by neanderthal men’s behaviors. There are many everyday male friends and husbands who support them as well. @domaingang Well i have honestly accepted the mistake and apologized for the same. Its completely up-to you whether you wish to accept the same or build up story around the same. It is pretty natural that my staff would be using similar language as they have gone through my post and previous mail formats. Well not all companies are fortune 500 which have tonnes of staff to manage their different departments. In majority of small size companies its a team work and everyone have access to everything. Further if the motive was to offend anyone or to spam than my real name would never have been used and the mail would have been sent as an anonymous person. However there is no excuses for the mistake which has already been conducted and I have taken responsibility of the same and apologized publicly for the same. I have personally sent apology mail to Michele Neylon as well and ensured that such language wont be tolerated and it wont be repeated again. rohit kumar goyal – You come across as defiant, instead of apologetic. The issue isn’t the spam tactic itself, it’s the obvious attempt you are making to shift responsibility from you in person, onto others. Swallow your bloated ego, and stop building up imaginary staff to which you can unload your mistakes – OWN THEM instead.